SUNDAY to SUNDAY bookings only(also benefits avoiding holiday traffic). 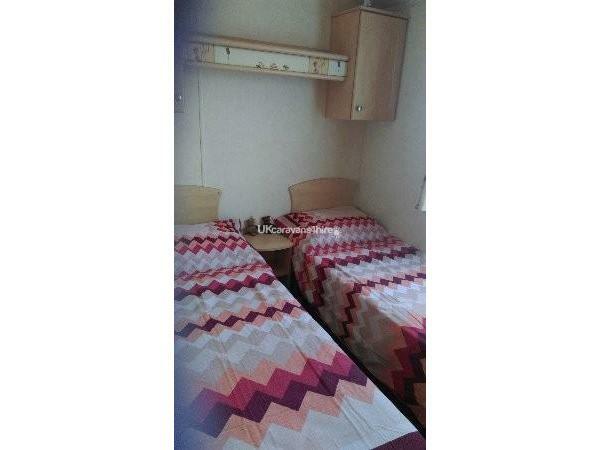 A NON REFUNDABLE holding deposit of £50.00 per week is requested upon booking, with the remainder of the balance due 1 calendar month before your arrival date. 7 nights. 3/4 nights short breaks (OUT OF PEAK SEASON) may be possible, please contact. I would like to share with you the experience of holidaying on the beautiful scenic, rugged, north Cornish coast. 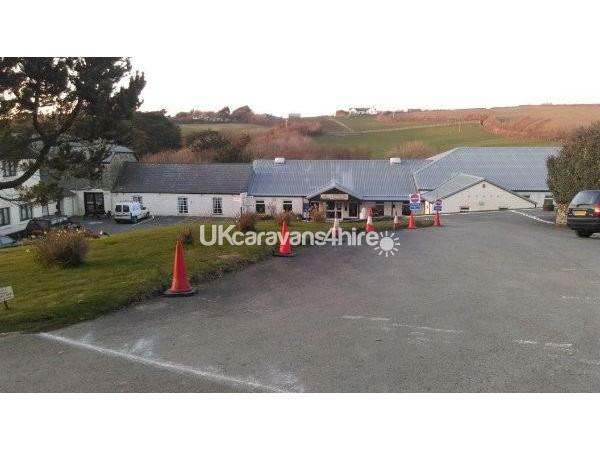 Situated on the quiet John Fowler holiday park at Widemouth Bay, near Bude. 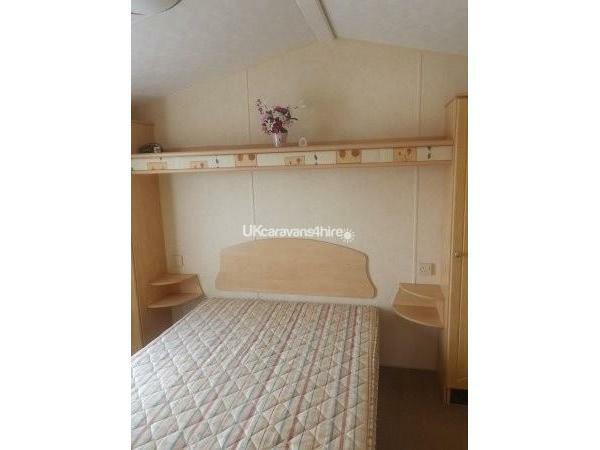 My 2 bed, 6 berth self contained well presented static caravan with sea view and enclosed veranda, offers you all you need for the British family holiday (weather NOT guaranteed) A few minutes walk from the park amenities. Shop, Launderette, Club House, with nightly entertainment and kids Foxy Club, Bar, Bar Food, Heated indoor Pool, Playground, Crazy Golf. In the van there are a few games/jigsaw for rainy days and in the shed on veranda, folding chairs and body boards to borrow for the beach, all we ask is that they are replaced in the same condition they were found. 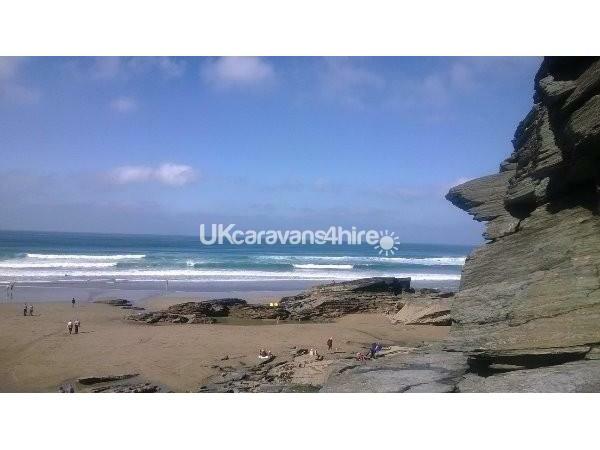 The local Large Sandy Beach favoured for its surfing is a 4 minute drive or a 20 minute walk. Spectacular cliff top walks and view points. 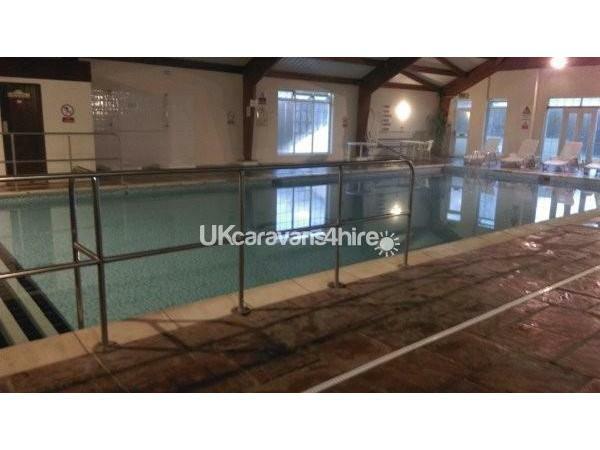 Nearby water sport schools, local pubs, restaurants, mountain boarding school, Bude is 4 miles for your shops and supermarket. Plenty of clean, safe beaches in every direction. Many interesting places to visit. Tintagel including King Arthurs castle, spectacular hidden St Nectans Glen Waterfall. Boscastle, with its witchcraft museum,( and I Highly recommend a meal in the Cobweb Pub). 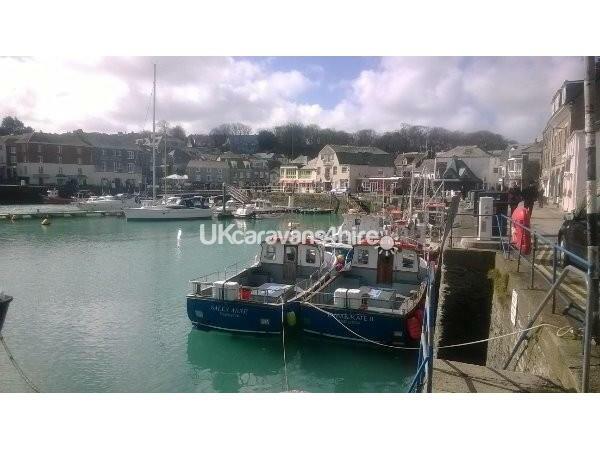 Port Isaac (Doc Martins Port Wenn) Padstow harbour (ideal for boat trips, Rick Steins fish n chips + cookery school) picturesque Clovelly, Jamaica Inn. Drive further south approx. 1 1/2 hours for Quaint Mevagissey, Fowey, St Ives, The Eden Project. St Michaels Mount + Lands End. If a relaxing, slower pace of life is to your liking, then your break awaits you. We have a new born and 5 year old and found everything we needed in this great little van! The view from the front window of the sun setting over the Bay is beautiful! The park facilities are just right with plenty to do for the kids, quick pub food and the staff are very friendly too! The guest book was also very useful for things to do and see, along with all the leaflets for local attractions! Highly recommended!! 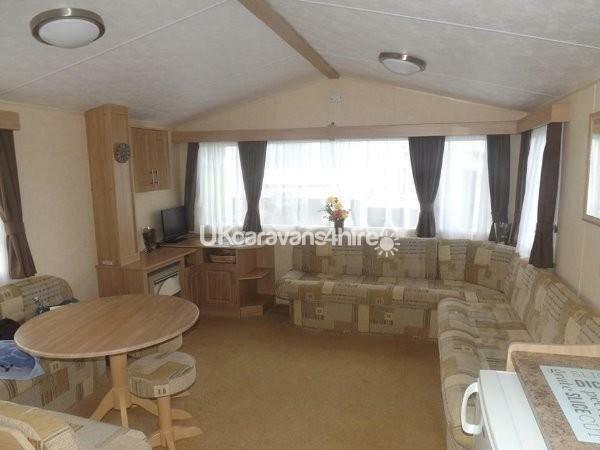 Great caravan, as a young family it had all we needed. The park and its facilities are great, plenty to do for the kids and some great pub food! The guest book along with the attractions leaflets were very useful! Highly recommended! 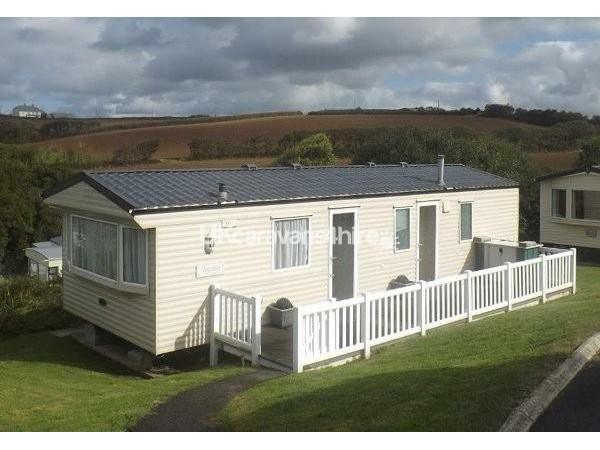 We had a very enjoyable stay at Sue and Ian's caravan, nice and well equipped and very comfortable, great location for exploring Cornwall. We also liked the site, nice clubhouse great entertainment for kids. Highly recommended. 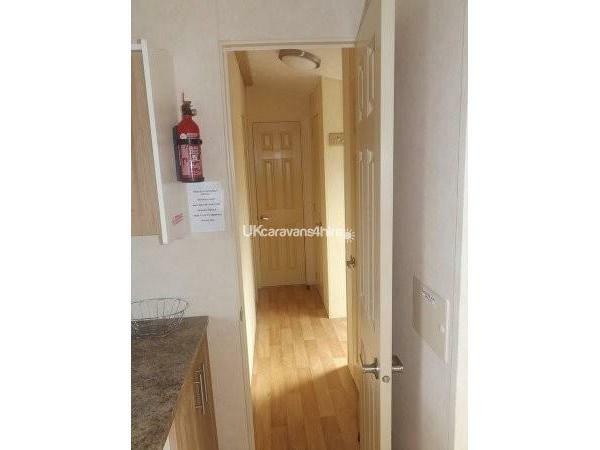 Lovely caravan. 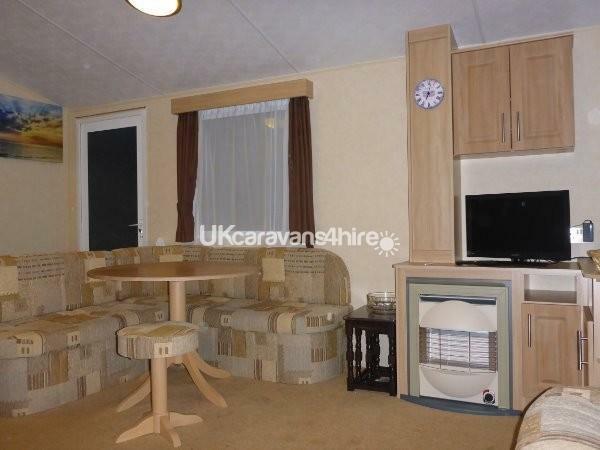 Really clean and well equipped with welcome biscuits and tea /coffee etc on arrival. We had a fantastic week . 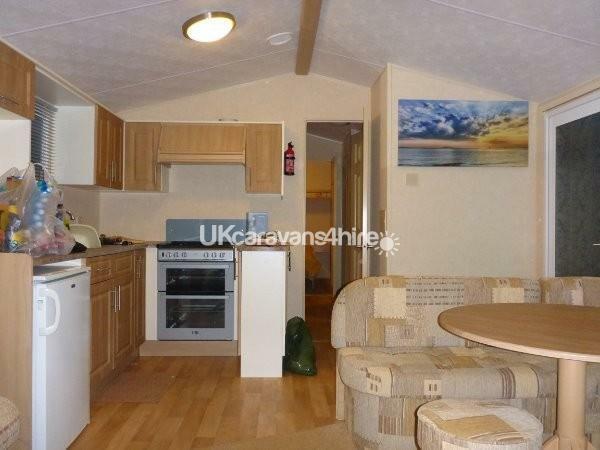 We would highly recommend this caravan. Many thanks to Sue and Ian.